Is there such a thing as “Black Man Magic”? If there isn’t, then someone needs to start that hashtag and pin it to Virgil Abloh, the designer of luxury-streetwear label Off-White. The 34-year old-Chicago native has done in five short years what it takes many a lifetime in the fashion business to achieve: create a commercially successful label, dress a cadre of celebrities, secure lucrative collaborations with brands like Nike and Jimmy Choo, and be awarded Streetwear Designer of the Year by the British Fashion Council—making him the first black designer to ever win a British Fashion Council Award. 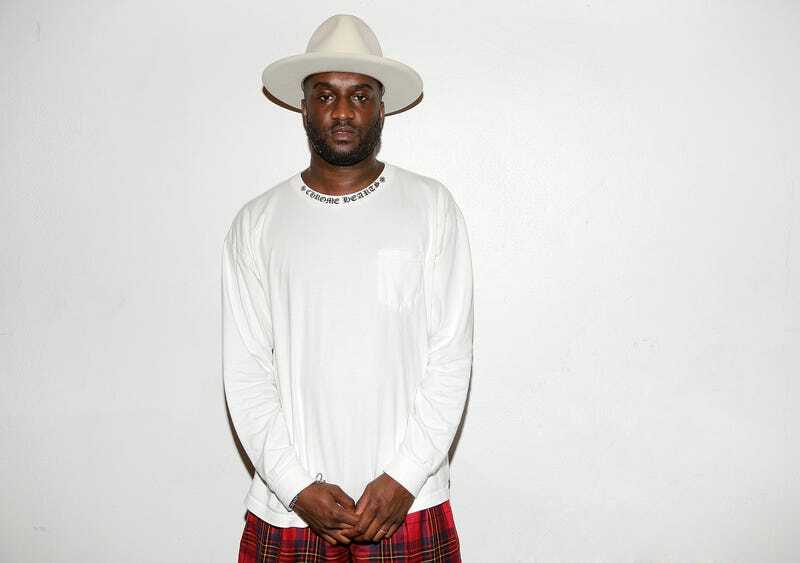 On Friday, Abloh was nominated by the Council of Fashion Designers of America for both Menswear and Womenswear Designer of the Year. On Monday the fashion flock woke to the news that LVMH, the luxury conglomerate that owns Fendi and Dior, among other industry-defining brands, has appointed Abloh as the new menswear designer for Louis Vuitton, one of the crown jewels of Parisian fashion. Though Abloh has no formal fashion-design training, his background is in interior design and being Kanye West’s artistic director (the two also interned together at Fendi). When it comes to predicting what people will want and marketing it to consumers in an irresistible way, Abloh is nothing short of magic. Sales of his cult-status label, Off-White, have increased 230 percent year-on-year at high-end British department store chain Selfridges, according to British Vogue. And like magic, this June, Abloh will take a bow at the end of one of the most prestigious runways in the world at Paris Fashion Week. The fashion world is anxiously waiting to see what kind of #BlackManMagic Abloh will pull out of his hat.